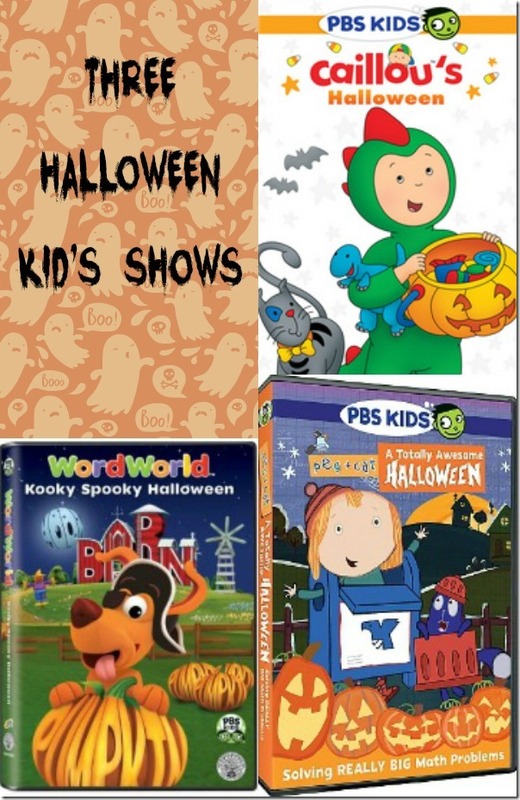 The following DVDs are from PBS Kids and feature kid’s favourite shows in their Halloween episodes. 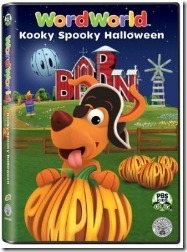 These Halloween Kids Shows can be bought where most DVDs are sold. I don’t know about you but we love watching Holiday themed DVDs near a holiday! 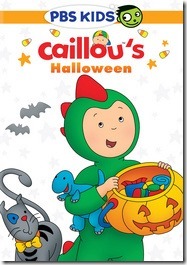 Features 13 Caillou stories all related to Halloween. 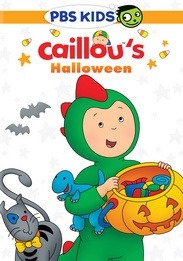 Stories include ‘Caillou Loves Halloween’, ‘Caillou’s Halloween Costume’ and ‘Pumpkin Patch Kid’ among others. The DVD runs approximately 100 minutes and retails for only $6.99 which is a great price for 13 episodes! In this mathematical show your kids will have fun with Halloween themes while learning math at the same time. This DVD features four adventures, two of which are Halloween themed. In The Parade Problem, kids learn sorting and estimating as they watch Peg and Cat clean a park to get ready for a Halloween Parade. The other Halloween themed one is called The Halloween Problem. This DVD features five stories including ‘A Kooky Spooky Halloween’ in which Pig is so worried about finishing his Halloween bags, because he’s missing the letter B, that he ends up sleepwalking! As he sleepwalks, collecting B’s along the way, everyone thinks he’s a ghost!